Learn how to unlock both good and bad endings in Cuphead. After shooting your way through various stages and bosses, you will come to Cuphead’s grand finale, where you can unlock more than one ending. There’s a good ending and a bad ending, depending on a choice you make. Since this guide explains how to unlock all of the endings in Cuphead, spoilers are inevitable, so consider yourself warned. To reach the endings in Cuphead, you must defeat all the bosses in Worlds 1-3. After defeating King Dice at the end of World 3, you will reunite with The Devil, who asks you to hand over the Soul Contracts you’ve been collecting and to join his team. To get the bad ending, all you have to do is select Yes when he requests the contracts in the opening cutscene. Cuphead and Mugman will become evil, joining the Devil for an eternity in Hell. Selecting this ending will also unlock the secret achievement called Selling Out. The good ending in Cuphead is unlocked in almost the same way. However, instead of choosing to give The Devil the Soul Contracts you’ve earned, select No to refuse his offer. This will initiate the final boss fight against The Devil. Defeat the Devil to complete the game, unlocking both the good ending as well as the Swing You Sinner achievement in Cuphead. 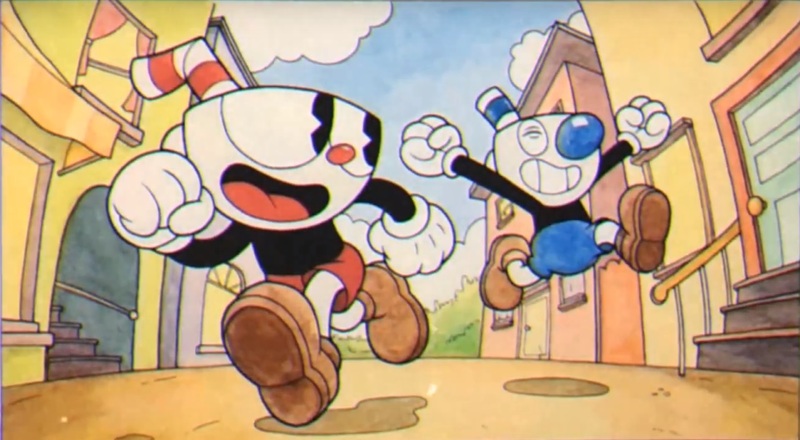 After beating The Devil, Cuphead and Mugman return to their home to deliver the good news, free from the Devil’s debt. The good ending also alludes to a potential sequel, but that’s another story. To view both endings, check out the video below by Hold to Reset. Even though you now know how to unlock all endings in Cuphead, you may not know how to unlock the game’s secret visual modes. Check out our guide on how to unlock the secret black-and-white mode and other vintage settings in Cuphead.